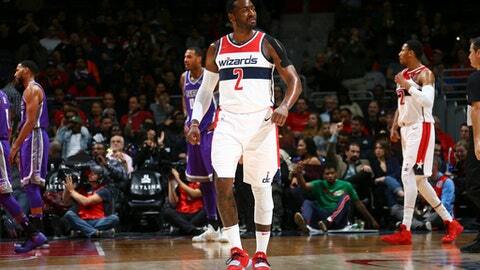 WASHINGTON (AP) Wizards point guard John Wall isn’t known for his 3-point shooting. ”Intensity changed. We definitely locked in more defensively,” Gortat said of Washington’s turnaround after losing three straight home games overall. Washington led by six at halftime and hit its first five shots – two by Bradley Beal – in the third quarter to extend the lead to 70-56. The Wizards built the margin to 22 late in the period. The Wizards (8-5) shot 51.8 percent (44 of 85), while the Kings made 40.5 percent (34 of 84). The Kings were 12 of 23 (52.3 percent) from 3-point range. ”We had a lot of possessions where we didn’t communicate right or just didn’t get in the right spot at the right time,” Hill said after the Kings fell to 3-10.